Big knobs and Vu-meters again ! Q : Why I need so much them these days ? 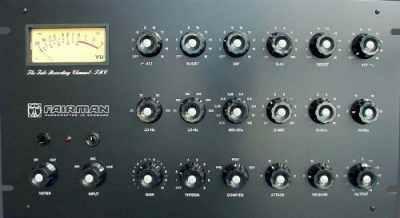 The Fairman TRC combines the tube powered filter of the Pultec equalizer and the and compressor of the Fairchild compressor into one high quality recording channel. Sorry, I've been very busy... Keep up the good work! Hi Tom, very happy to see that u'r back.